The Bread Loaf campus and surrounding forests have long provided spaces for education and recreation. MIDDLEBURY, Vt. — Nearly a century ago, the visionary Vermont environmentalist Joseph Battell bequeathed to Middlebury College the large tract of land that is home to the Bread Loaf campus. Bordering the Green Mountain National Forest and encompassing numerous areas of ecological and natural interest, the Bread Loaf campus and surrounding forests have long provided the Middlebury community with spaces for outdoor recreation and environmental education. Now, thanks to another inspired benefactor, Middlebury can ensure that many of those same lands—approximately 2,100 acres—in the Green Mountains are conserved, protected, and remain with the College in perpetuity. Louis Bacon ’79, a Middlebury College Trustee and leading conservation philanthropist, has joined with the College to ensure that these special lands in the Green Mountains are conserved, protected, and properly managed in perpetuity with their own endowment. The Moore Charitable Foundation, Mr. Bacon’s private foundation, and the College have established the Bread Loaf Preservation Fund, which will preserve and maintain the Bread Loaf campus and the surrounding forests and fields while also supporting educational programming and recreational activities. Much of the 2,100 acres will be protected through a conservation easement held by the Vermont Land Trust working in partnership with The Nature Conservancy. Each summer, Middlebury’s Bread Loaf campus is home to the Bread Loaf School of English and the Bread Loaf Writers’ Conference. The School of English, which opened in 1920, is one of the largest MA English programs in the United States. Pulitzer Prize-winning poet Robert Frost was closely involved with the school during its first half-century, coming first in 1921 and returning for 42 years. 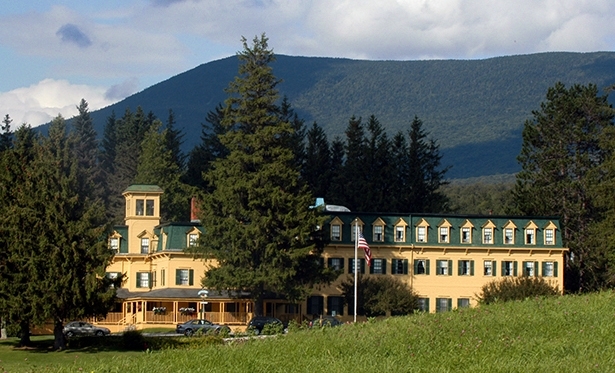 The Bread Loaf Writers’ Conference, which Frost helped create in 1926, was the first writers' conference in the United States and remains the most esteemed gathering of its kind. Frost’s influence is still felt in both programs, in part because Middlebury owns and maintains the Robert Frost Farm as a national historic site near the campus. The Frost Farm is part of the Bread Loaf lands to be conserved. Louis Bacon is the Chairman of The Moore Charitable Foundation, Inc., (MCF) and its affiliate foundations. Founded by Mr. Bacon in 1992, MCF supports conservation nonprofits that focus on protecting threatened landscapes, habitats and water bodies.